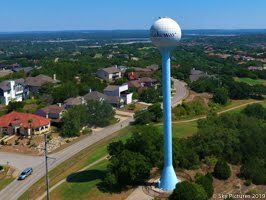 Lakeway Update: Traffic, Roads, Awards, Pictures and More! Traffic, Roads, Awards, Pictures and More! Traffic, traffic and more traffic! We are certainly still growing faster than anyone expected. One real solution to the accidents is to change driving habits. Roads are expensive. Right of Way is expensive and has to be acquired in order to build the expensive roads. By the time 620 is improved to 6 lanes and a median, it will continue to be congested because of the growth in the area. Lots of people are upset with the accidents on Hwy. 71 from Hamilton Pool Road to the Pedernales. I have recently been told that the speed limit will be lowered to 55 mph on that stretch of road - will that help? Not if the same folks that are driving 70-80 mph in the 60-65 mph limit sections don't change. I've also been told that Travis County is stepping up the patrols on 71 along with the DPS. I'm also working on getting the street lights fixed at the corner of Lohmans and 620. There are four lights - none working. My contact at TxDOT is looking into it. Thanks! Would a barrier on 71 help? Barriers are very problematic. Somewhere along the way access to residences and businesses on the other side has to be provided. A U-turn on 71 is a disaster. They have some on the West side of San Antonio but they require great widths to be useful. The annual Lakeway Volunteer Appreciation Dinner was held last Thursday evening at Vintage Villas Hotel and Events Center. Three residents were honored by the city at this event along with a nice dinner. 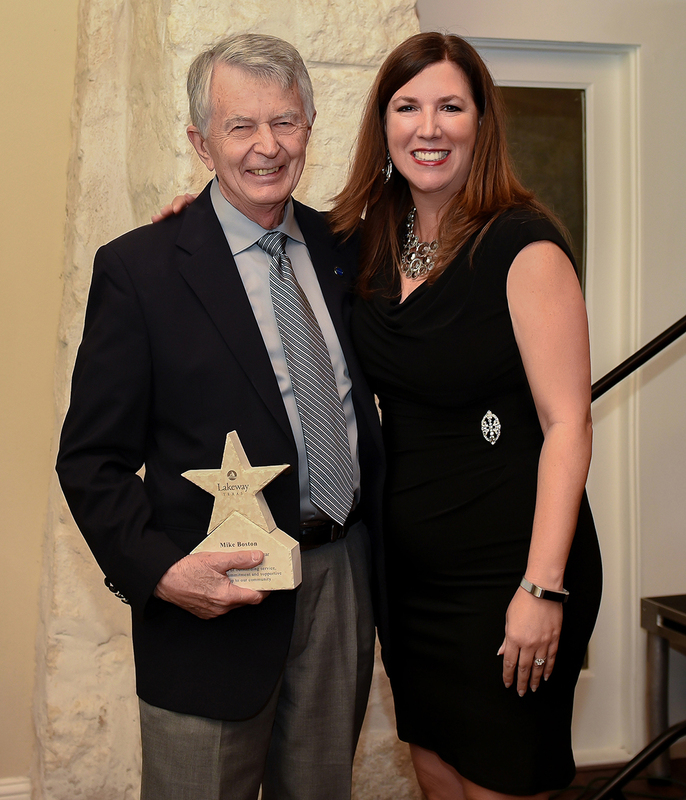 A Lifetime Achievement Award was presented to the late George Blume Jr. for his service to the City on many commissions, the City Council and his service to the parks in Lakeway. 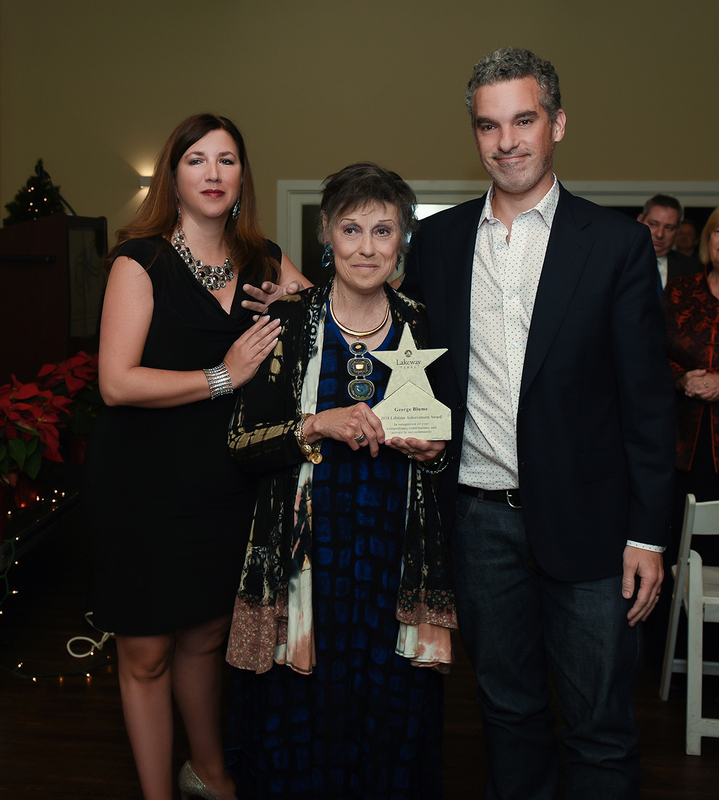 The award was accepted by George's wife Faye and son George III. 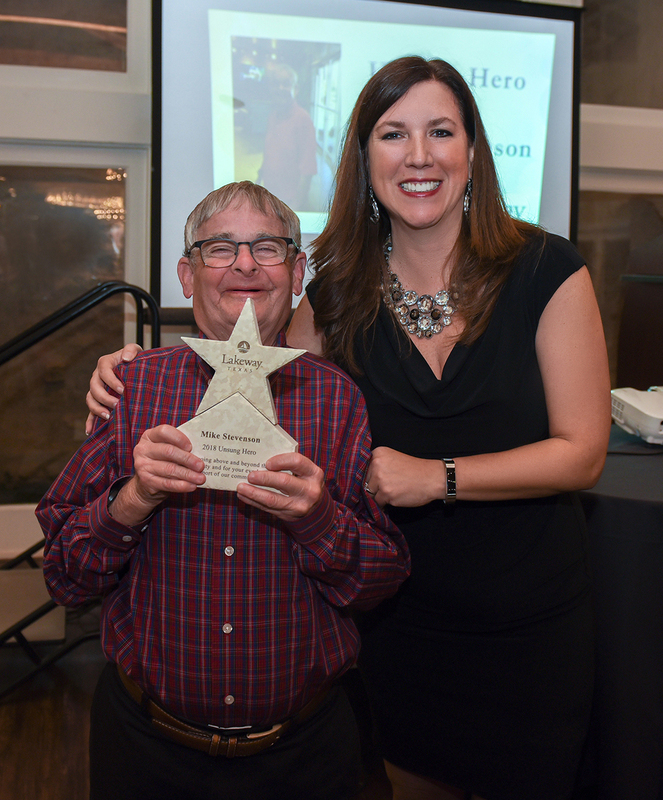 Volunteer of the Year was presented to Mike Boston, retired Navy Pilot, for his efforts in organizing Memorial Day and Veterans Day ceremonies for the community each year. He works tirelessly to make our community better for all the residents. 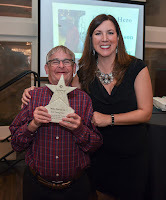 Mike Stevenson was awarded the Unsung Hero Award for his 12 years of volunteer work at the Lakeway Activity Center, Brookdale assisted living center and local churches. You have probably see him walking along Lohmans Crossing to and from his volunteer jobs. Congratulations to all of the recipients! Our city is a better place because of your efforts. ZAPCO meets Wednesday the 5th at 9:15 AM - here's the agenda. The packets are not on the website so it's really hard to tell what is really happening at this meeting. The Chase Bank is moving right along at Serene Hills and Hwy 71. My guess is it will be open soon. Here's a link to pictures I took today. Scroll down a little and there are pictures of the Highland Blvd. traffic circle. Or, here's a link to a Panorama of that area. Use your mouse to look around or move your smartphone to see the area. Finished up my cataract surgery last week. What a great experience - I recommend Lake Travis Eye and Laser Center without hesitation. Dr. Kyle Rhodes was outstanding from the initial visit to the surgery and surgery center and post op visits. I now have 20-15 in one eye and 20-20 in the other. This has been the best doctors association I have ever had - generally no wait in the office and everyone is striving to make your life better! Thanks! That's all for right now, more as I find out. If you would like to be added to my email list, send a note to lakeway@bain.us and I'll get it done. Thanks again for all the support and Merry Christmas to everyone this holiday season. Drive safe and enjoy the decent weather we have had, I hear it's going to rain later in the week.